I love working on categorization! Maybe it's the organization of it all. I also love the language I can get when talking about items. So, with my love of working on categorization, I am always looking for new ways to target the skill. 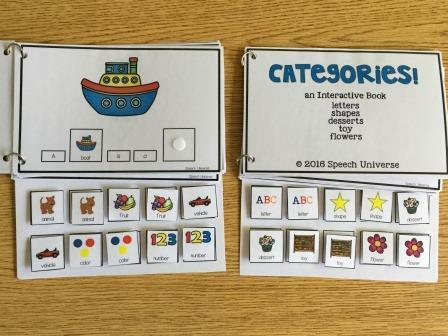 I wanted to make some file folders for my students with ASD, some no-prep worksheets for my preschool and kindergarten students, and of course, my new obsession which is interactive books. 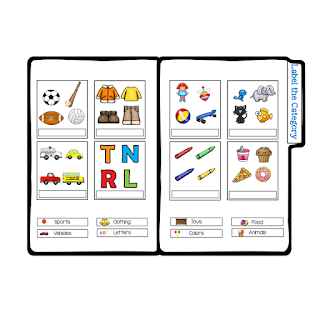 With all of these ideas came my newest TpT product, Categories! 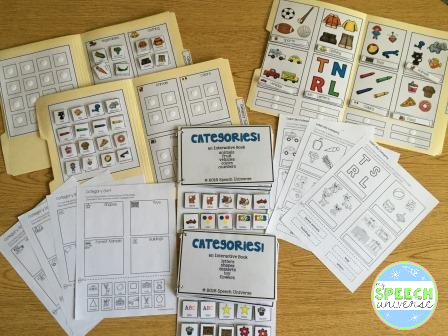 This fun packet contains everything you need to create three different file folder games, two different interactive books, and worksheets that you can complete during your sessions, or send home for extra practice. I love how the file folders turned out. I have used them so much with my students with Autism Spectrum Disorders (ASD) as well as my preschool and kindergarten students. There are two different activities contained in these file folders. The first is Category Sorting. Students are asked to place icons into four different categories. Category Sort 1 contains these categories: vegetables, clothing, vehicles, and sports. Category Sort 2 contains these categories: animals, colors, food, and toys. The third file folder activity targets category naming. In this activity, students are asked to label each set of category items with their category name. Categories include: sports, clothing, vehicles, letters, toys, animals, colors, and food. The next activity is two different interactive books. These books work exactly like all of my interactive books. I use Velcro to attach all of the icons. 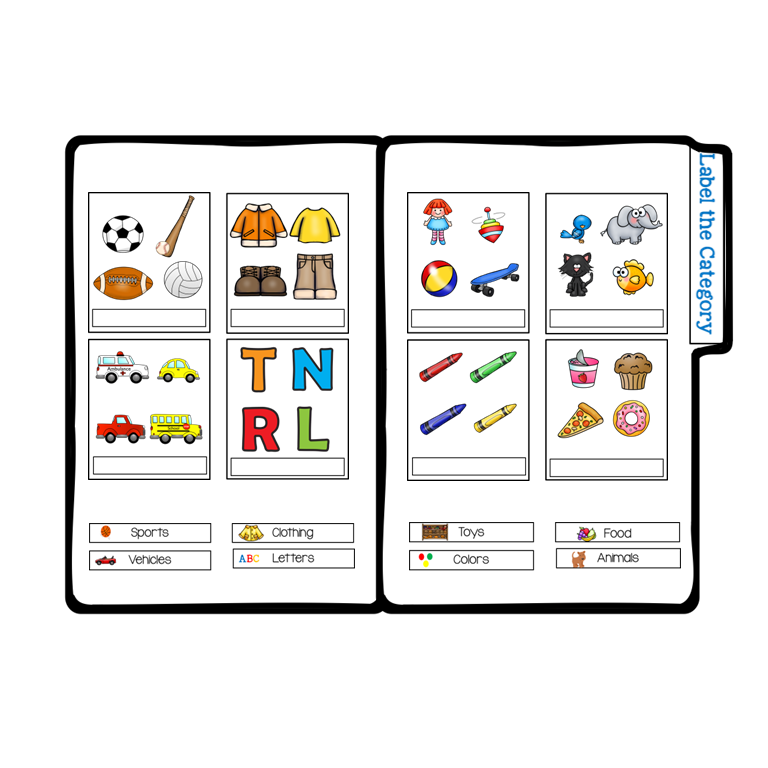 Students will complete a sentence with the category name using the visual icons. Category choices include: animal, food, vehicle, color, number, letter, shape, dessert, toy, and flower. 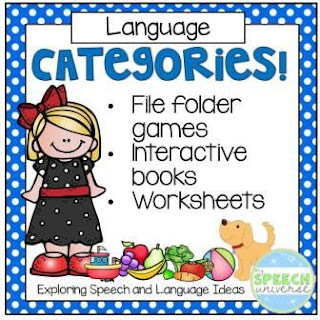 The worksheets that are included in this packet target category sorting and category labeling. I have had so much fun with this packet! Once put together, you will have activities that you can use again and again. You can find this packet here: Categories!